– by bus: just outside the terminals you will find the Silver Line bus stop. This bus operates very frequently all day long and in a 20mins journey it will take you to South Station, one of the main stops of the Red Line subway. The red line is the main subway line in Boston. You can take the Red Line to reach the city center or any main spot in the city. Each trip costs 2 USD. The first day in the city is dedicated to the discover of the downtown. For this you don’t need public transport, you can have a nice walk. Stop at “Downtown crossing” with the Red line subway and you will exit at Washington Street. All along this street and Winter Street you will find several shops, if you like shopping take some time and stop there buying some clothes and shoes, or simply take a coffee in one of the bars. 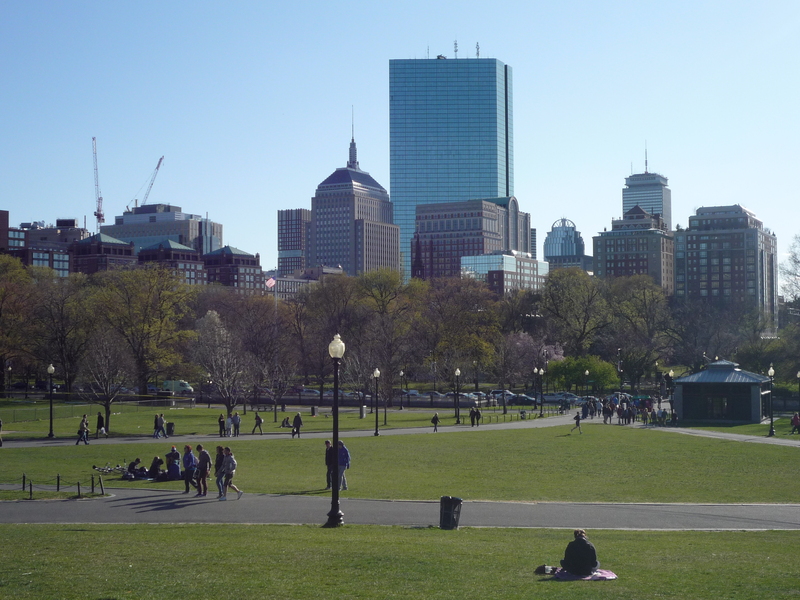 Keep on walking through Winter Street and you will arrive at Boston Common and Boston Public Garden, the main park of the city. A walk there is simply great and relaxing: a fantastic green spot in the heart of the city, with grass, trees, lakes, fountains, statues, ducks and squirrels. This park is always crowded with children and young people having picnic, studying, playing football, or some romantic couples seating on the benches. Take some time to stay in this park, especially if the weather is nice. 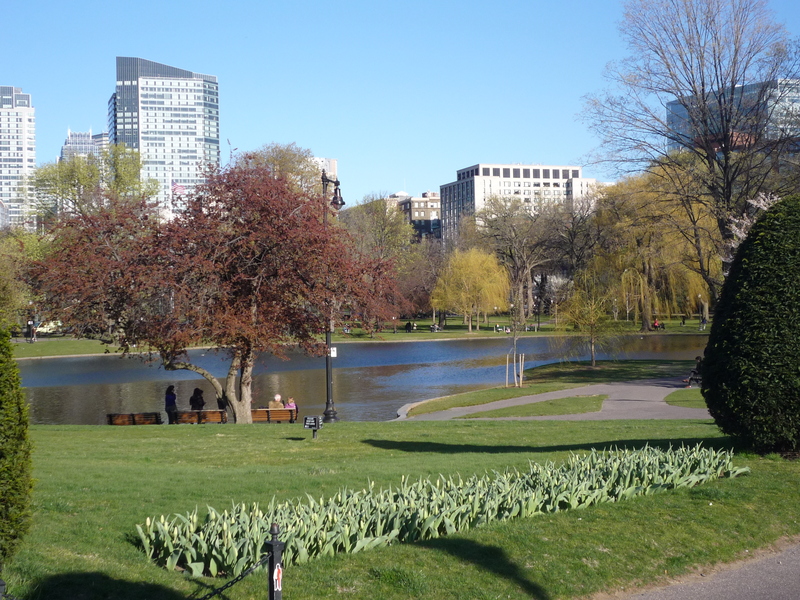 After a nice walk in the park, take the way back through Boylston street and you will arrive at the Theater district, a nice area with historical theaters. Keep on walking through the same street, that will become Essex street, and you will then arrive in Chinatown. 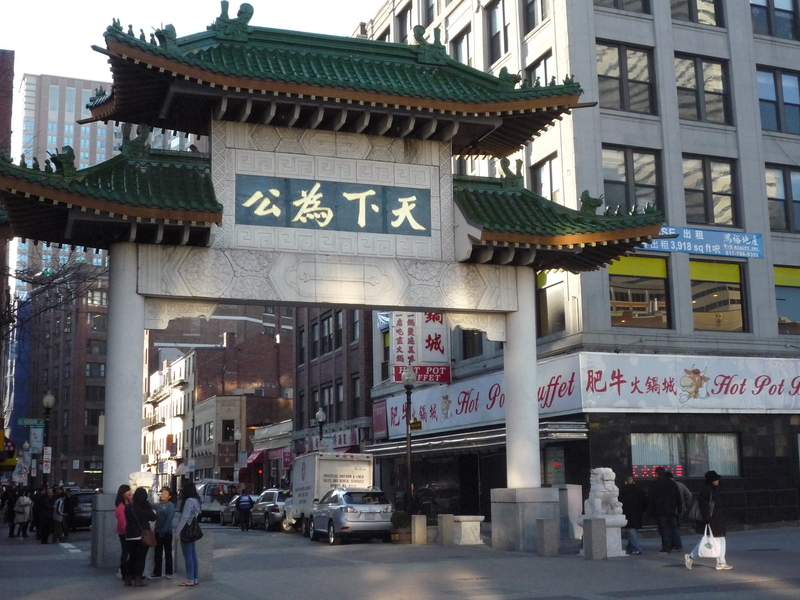 The Chinese neighborhood of Boston is a set of nice streets with Chinese restaurants and shops, and it will end up with a nice Chinese arch, it looks like you are in another country. At the end of Chinatown take Surface street and you will arrive in the Financial district, the place where you can find the highest and most modern buildings in town. 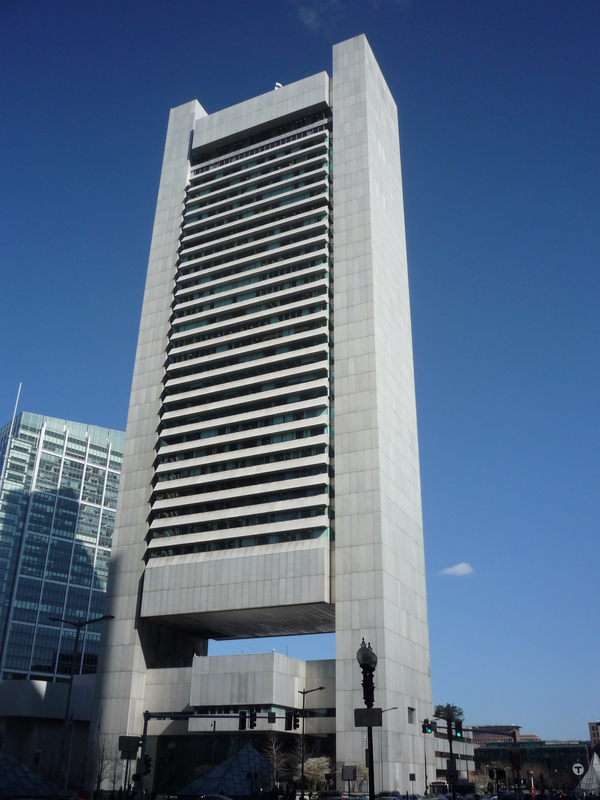 One of the most popular ones is the Federal Reserve Building, famous for its particular shape. From the financial district you can take any street towards the river. 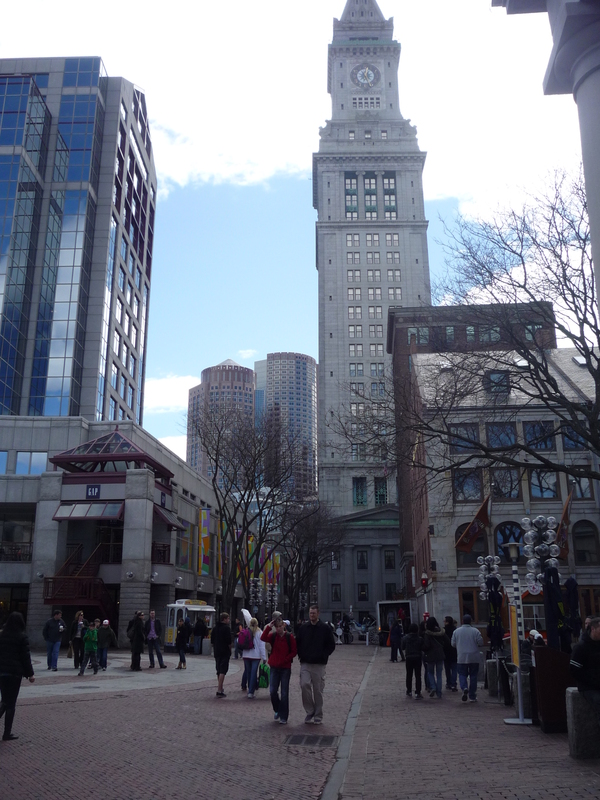 Have a nice walk along the waterfront, where you will find also the New England Aquarium. 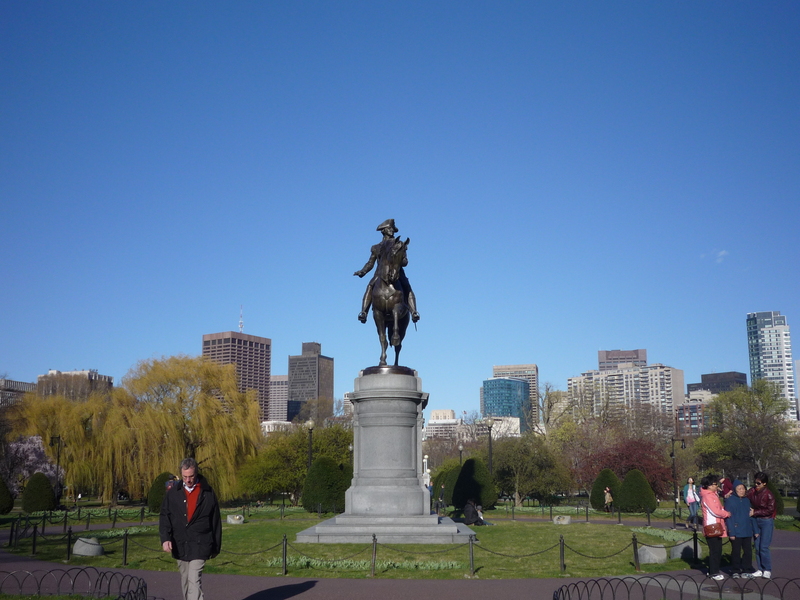 On the second day, you can enjoy a nice way to discover the city and its past: the Freedom Trail. 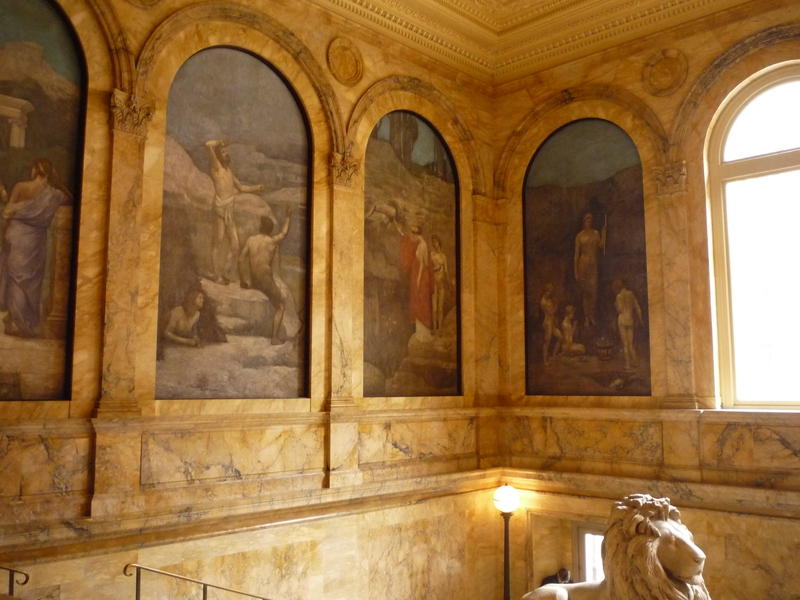 This is a special itinerary showing the main historic and artistic places in Boston and describing the history of the city. 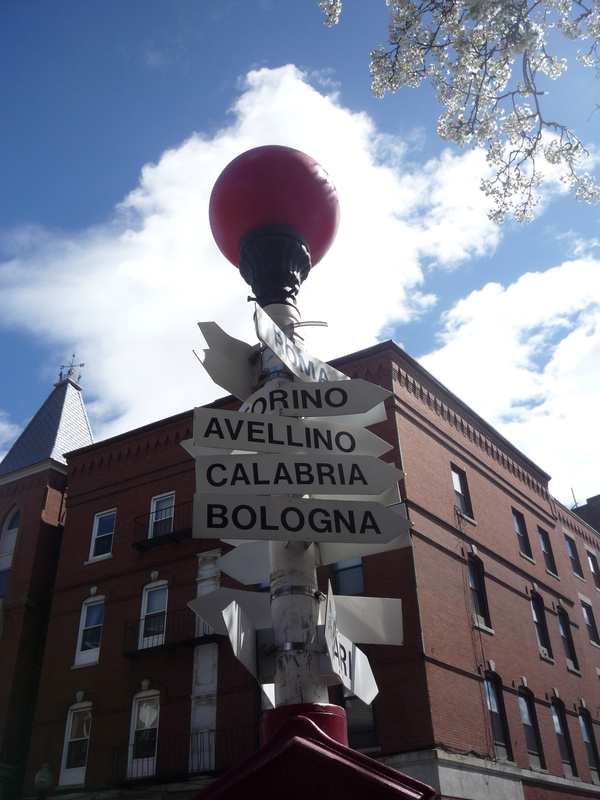 Together with this freedom trail, I combined also some interesting spots of the city. This itinerary needs also to be done by foot, it will be a nice and interesting walk. There is also a small part on the other side of the bridge, but I honestly preferred to start it from the center. 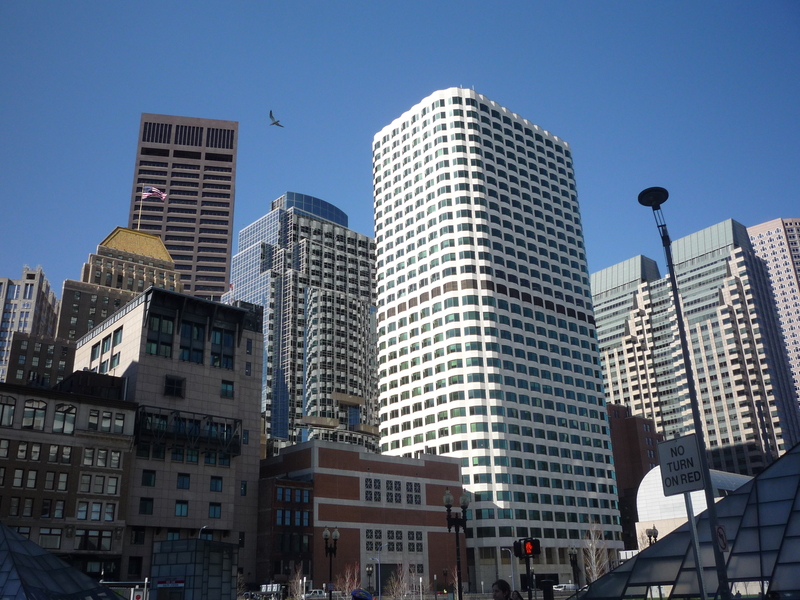 Take the Red Line subway and get off at North Station, from there walk through Causeway street. 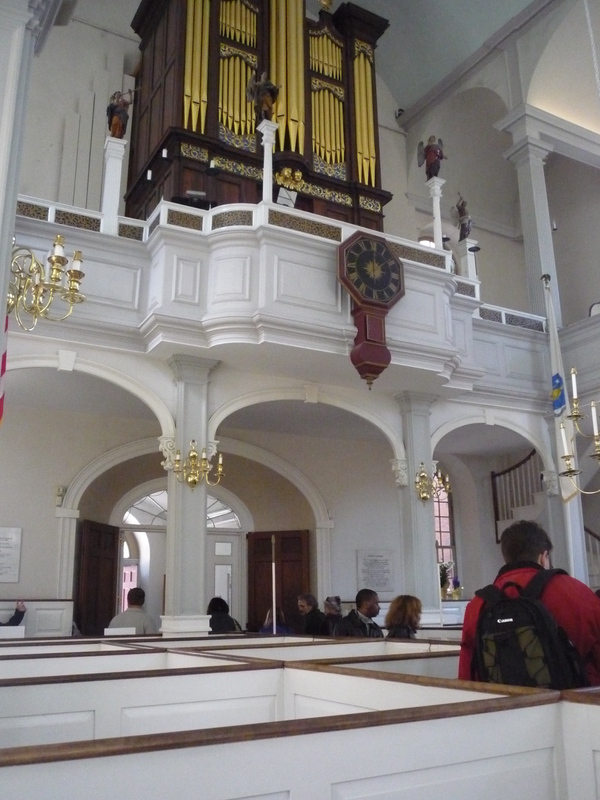 Leave both bridges at your left and take Hull Street and you will arrive at Old North church. This small church is very special: differently from the usual benches turned towards the altar, here you will find some small cells with 3-4 seats. The structure was due to the fact that in the past people could buy these cells and bring their own heating inside. The church is very charming, especially the altar. Go out of the church and take the way behind, you will cross a nice small garden with St Francis statue. When you exit the garden you will arrive in Hannover street: this is where Little Italy starts! Take Hannover street on the right and you will find yourself in a vibrant street plenty of Italian restaurants, bakeries, cafes, gardens. If you have some time stop at Mark’s bakery, this is a must of Bostonian life. Keep on walking trough Hannover street, cross also the big crossroad with the highway underneath and you will arrive at Union street. 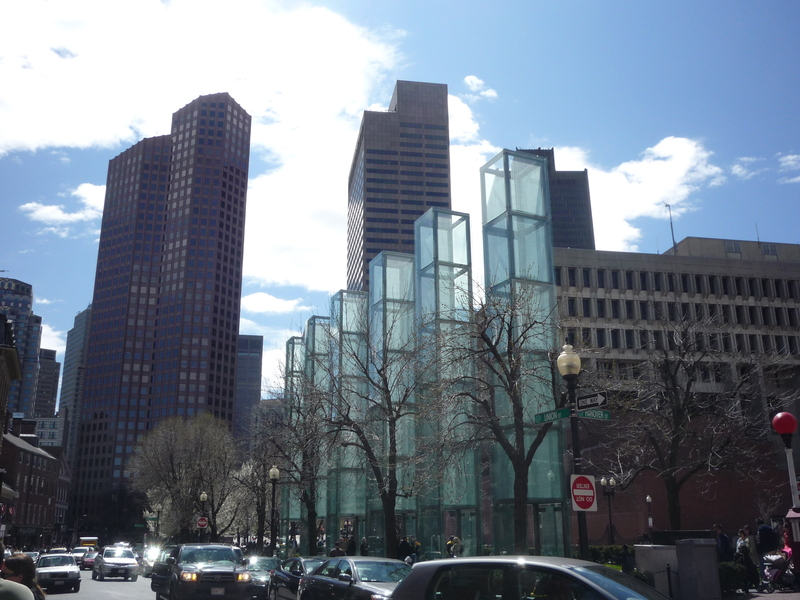 One of the main spots in this place is the Holocaust Memorial, a group of glass towers that display memories of the survivors of the holocaust, or sentences of writers or politicians related to this huge tragedy. 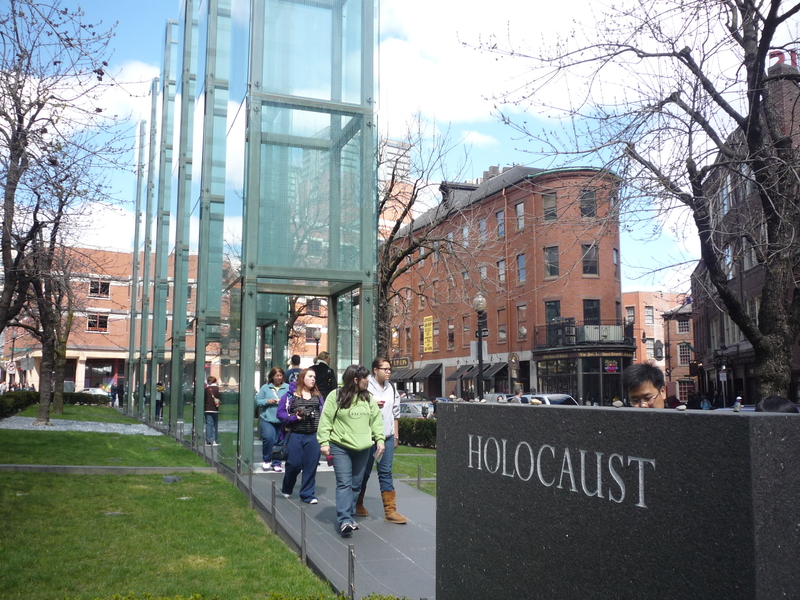 Just after the Holocaust memorial, you will arrive in a wonderful square, surrounded by restaurants and shops, and with the famous Quincy Market in the middle. This market is the place to stop and have lunch. Enter in this ancient building and you will find many kiosks serving all kind of food: pasta, pizza, fried chicken, fish, fajitas, kebab, sushi, wok specialties..briefly, all kind of food from all over the world. If I can give you a suggestion, Boston is an excellent place to eat fish. Two delicious dishes for lunch could be: New England sandwich (a warm sandwich with rucola and pieces of lobsters or crabs inside) and Chowder (a soup of potatoes, clams or other kind of fishes, served inside a round emptied bread). Try also the lobster if you have the chance, the fish is really delicious over there and very cheap compared to the European prices. 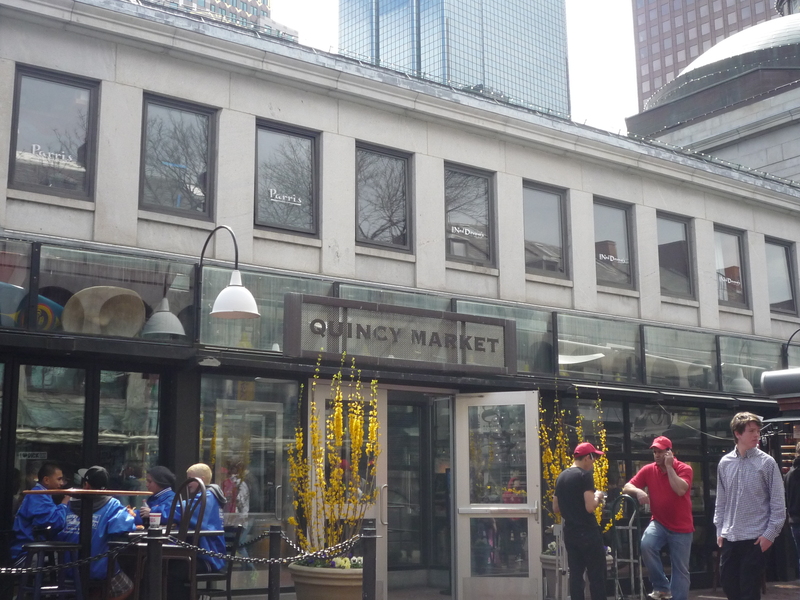 After a deserved lunch break it’s time to go back to the Freedom Trail and just in front of Quincy Market you will arrive at Faneuil Hall. Entering in this building you will find yourself in a big hall where political speeches and decisions were held. All the important personalities who built the US passed by this hall. There is a guide who gives you an explanation of the history of the building inside the hall. 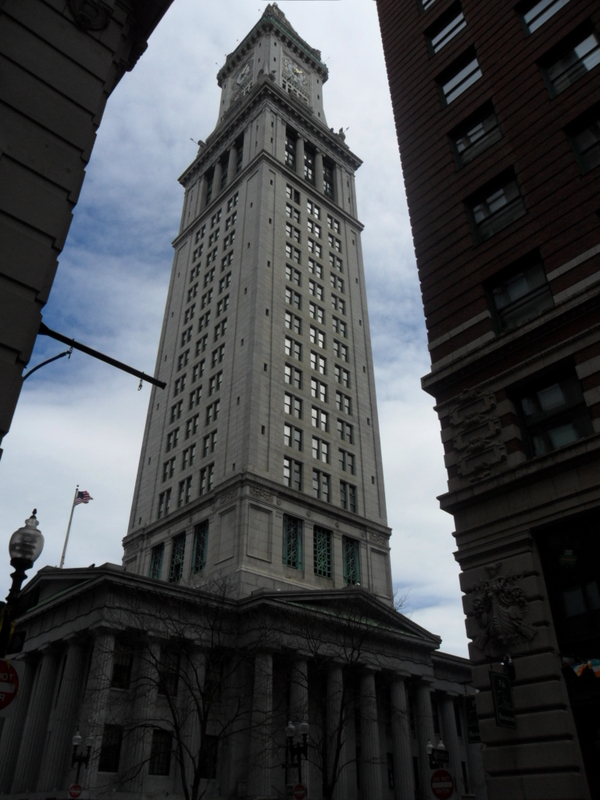 Next to Faneuil Hall you will find the clock tower of the city as well. 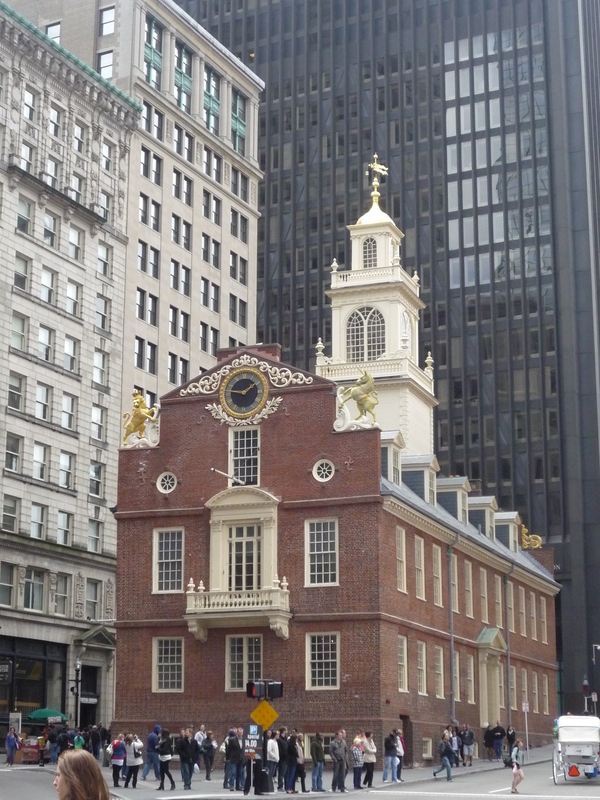 Now take State street and you will arrive at the Boston State House, the seat of the state’s legislature until 1798, that hosts nowadays a museum. Turn to School street now and you will arrive at the Old South Meeting House, that has served as a gathering place for discussion and celebration and a haven for free speech. 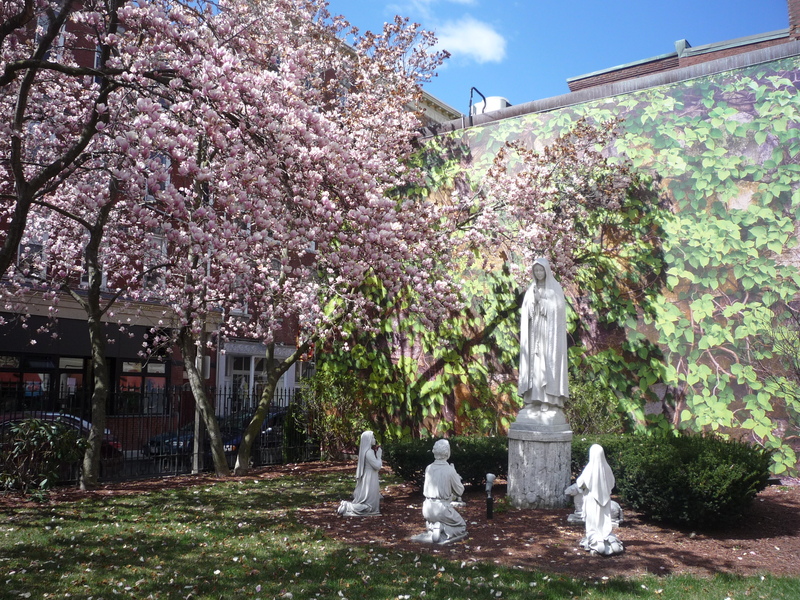 Now walk through Tremont Street and you will arrive at the Park Street church. 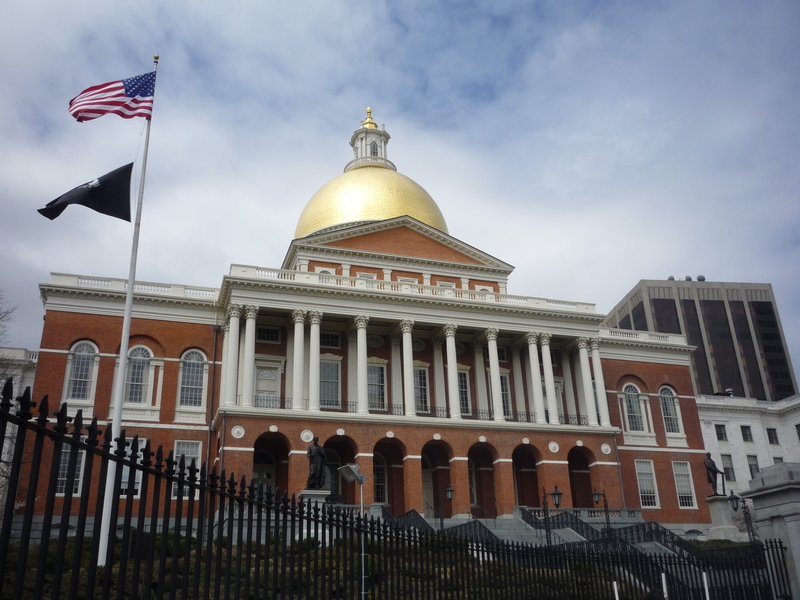 After that, keep on walking, leaving the park on your left, and at the intersection with Beacon street you will arrive at the Massachusetts State House, a big historical building with a nice copper dome. On the left of the building you will see a park with Kennedy statue inside. 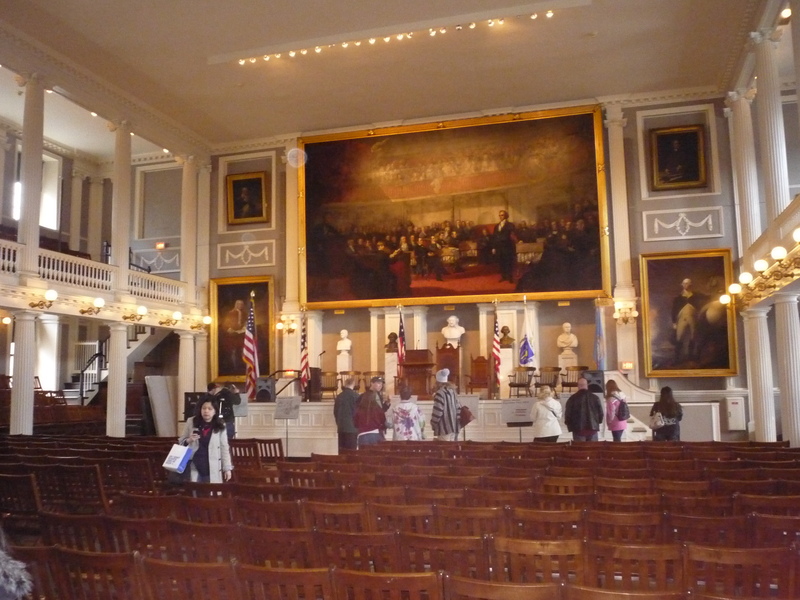 The Freedom Trail finishes there, but our tour of the city doesn’t. There are still beautiful areas to visit. 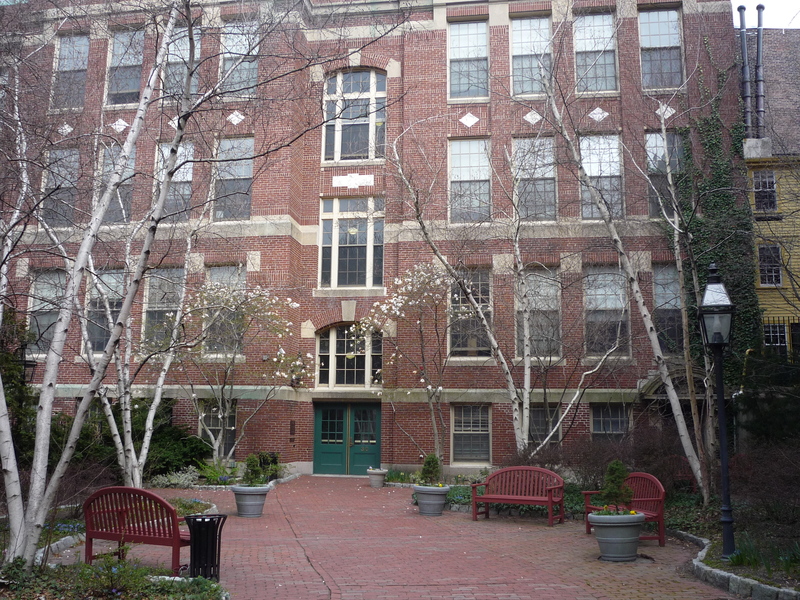 Keep on walking through Beacon street and take Joy street on your right, you will enter in Beacon Hill. This is a charming neighborhood, with brick elegant houses. Have a tour in the small streets, you will feel like in a peaceful and beautiful corner, far from the noise of the city. Inside this area you can also follow the Black Heritage Trail. In 1783, Massachusetts became the first U.S. state to declare slavery illegal — mostly out of gratitude for black participation in the American Revolution. 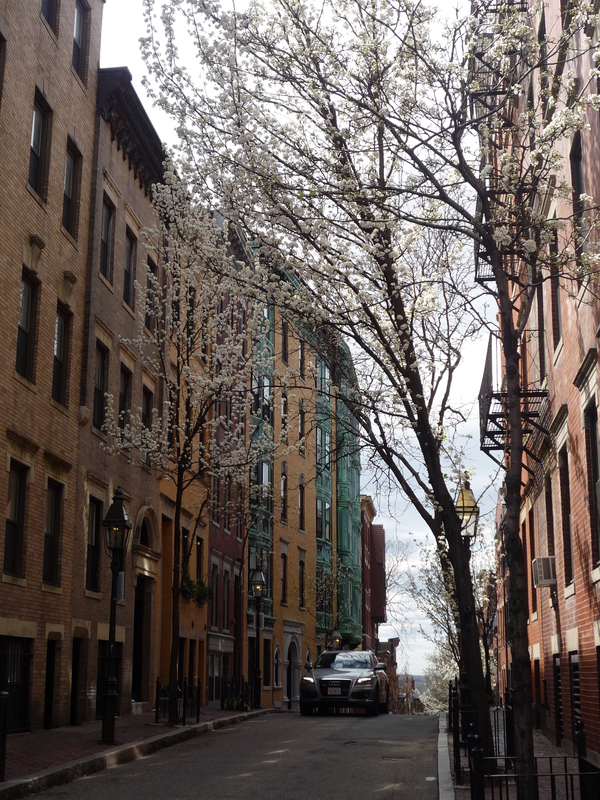 Subsequently, a sizable community of free blacks and escaped slaves developed in Boston, settling on the north face of Beacon Hill. Follow the signs on the road and you will find several buildings that marked the black American history. 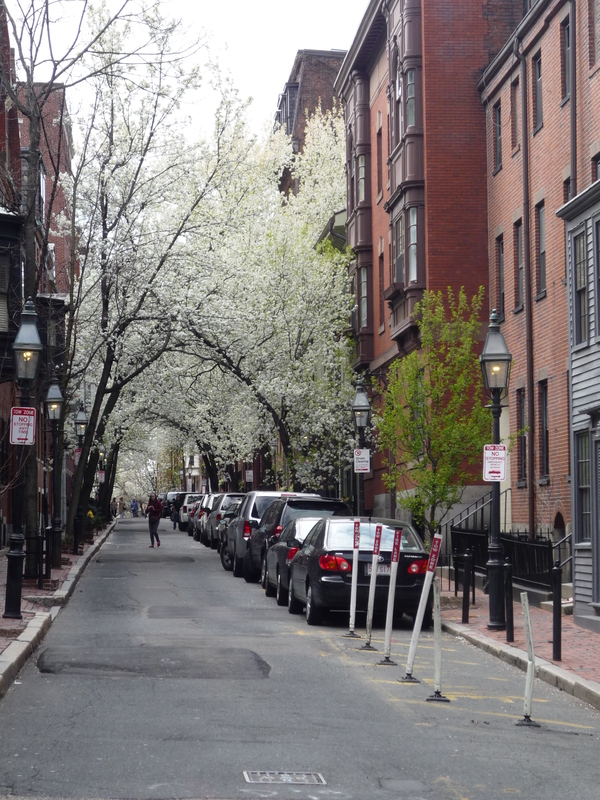 After being astonished by the charm of Beacon Hill, go back to Beacon street and walk along this street for around 10mins, then turn left to Dartmouth street and after few minutes you will arrive at Copley Square. 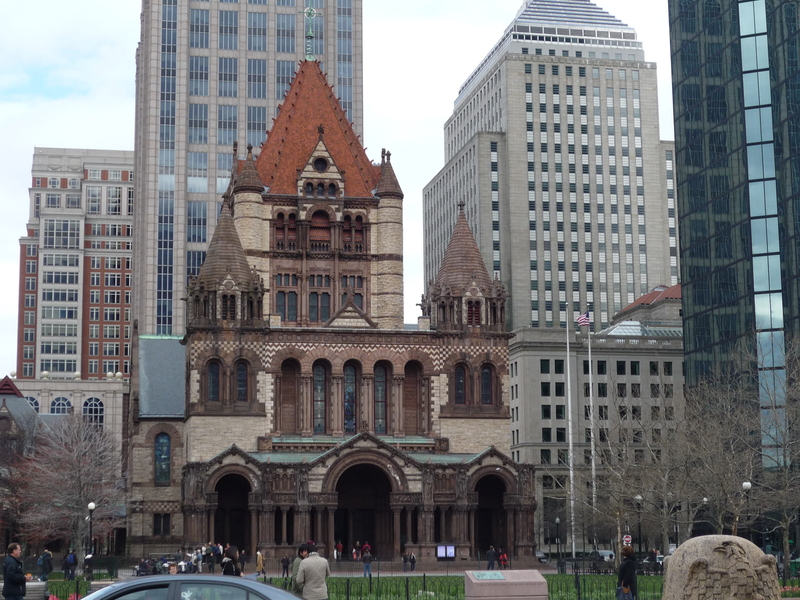 This is a very nice spot in the city, many important buildings are located there, such as the Boston Public Library and the Trinity Church. 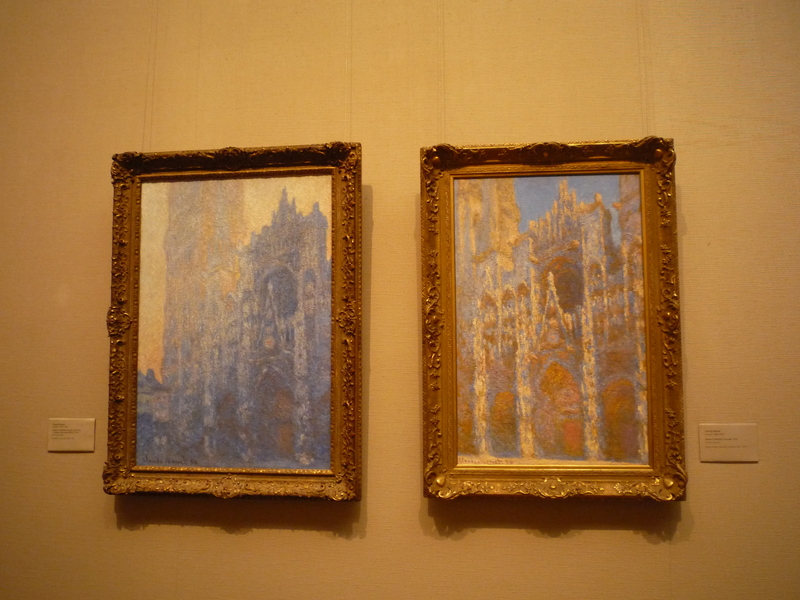 Don’t forget to visit these two buildings inside, remarkable masterpieces are located there. After all the cultural stuff it’s time to take a break and for the shopping lovers it’s time to stop at the Prudential Center, a shopping mall located inside the big tower just behind Copley Square. 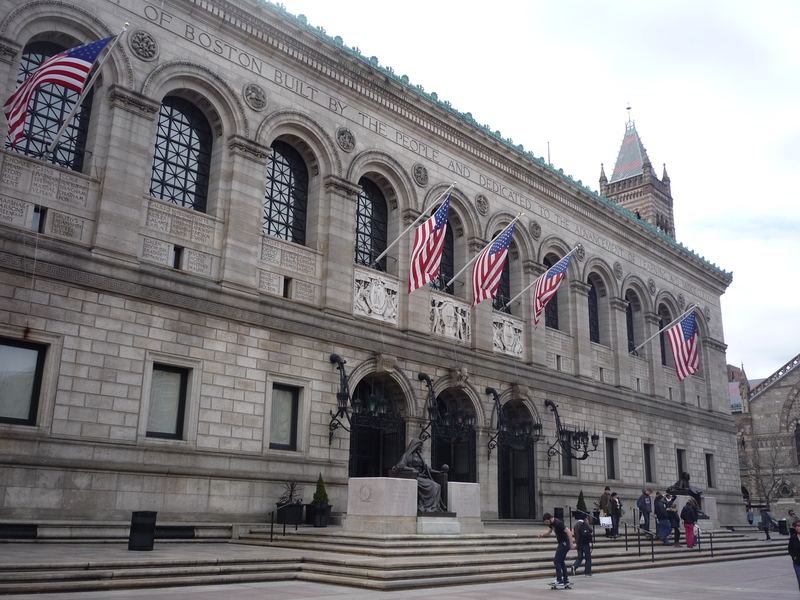 If you’re not a shopping lover, you can have a nice walk in Boylston street, a live street with restaurants and cafes. The street will take you directly to Boston Common. The third day in Boston will be dedicated to the exploration of some important places for locals, from cultural and sport point of view. Since distances are longer, you might need to take the public transportation. You can purchase a Charlie pass, a sort of public transport pass that you can recharge with the amount you want and anytime you want in any station in the city. Consider that each trip will cost you 2USD. Take the Red Line subway and get off at Harvard station. 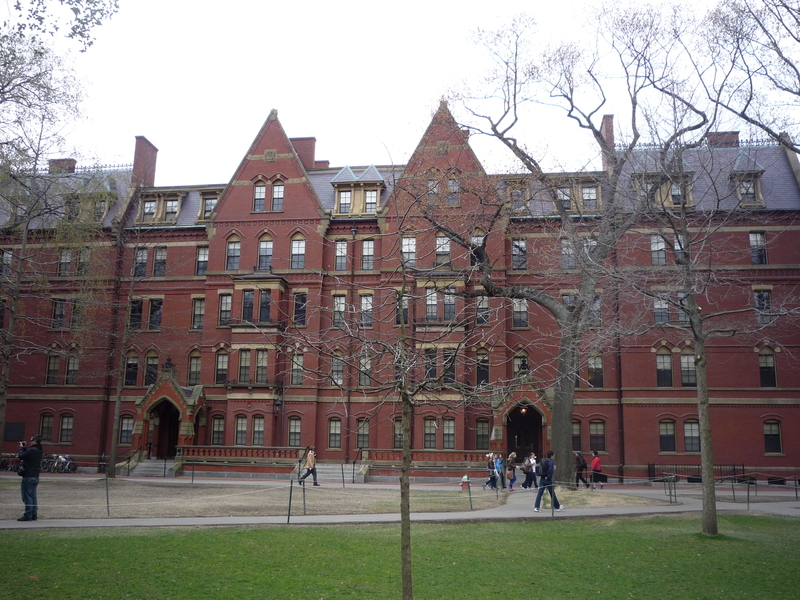 You will be then in Cambridge, more exactly in the area of the worldwide known Harvard University. I think 80% of the American movies and series mention this important university. And actually it is worth visiting it! The campus is very nice, with a big park and elegant buildings where faculties, offices and libraries are. Take a walk also outside the campus, Cambridge is a very nice area to see, everything is small and looks like a charming student place to live. 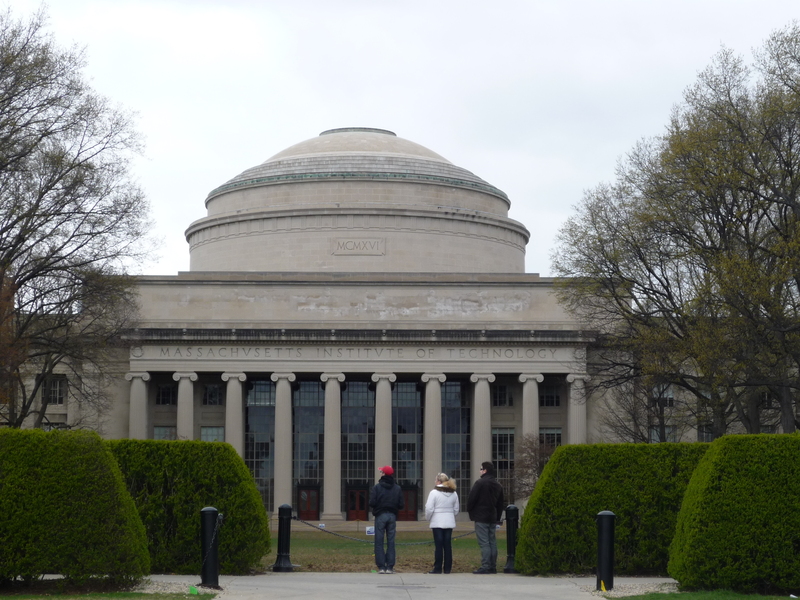 Now take the Red Line subway again and get off at MIT stop (called Kendall as well), you will arrive at the Massachusetts Institute of Technology. 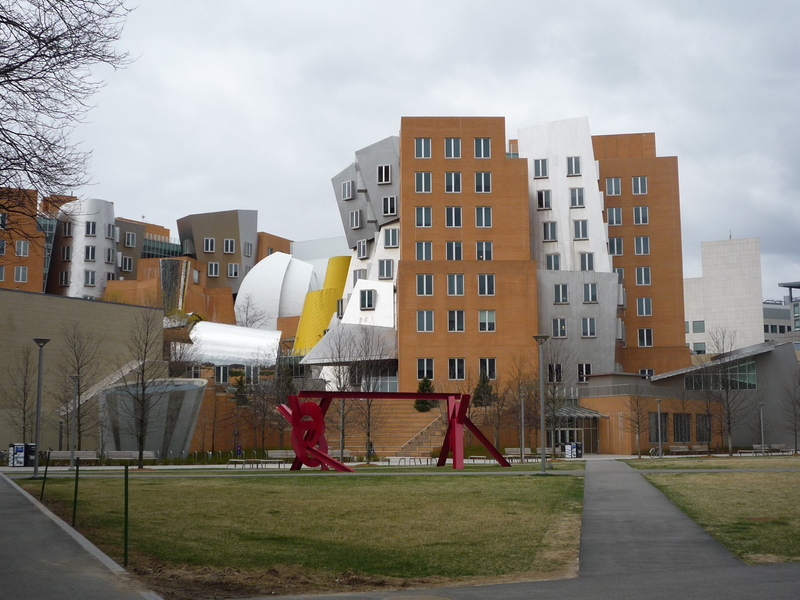 Differently from Harvard, this group of buildings is very modern and with many recalls to the science and technology. 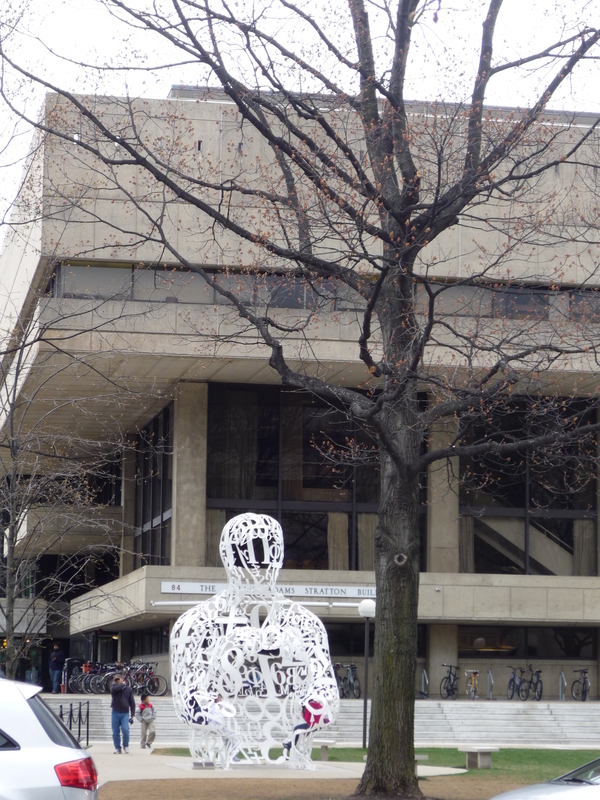 Just in front of the MIT, you will have the great view of the river. 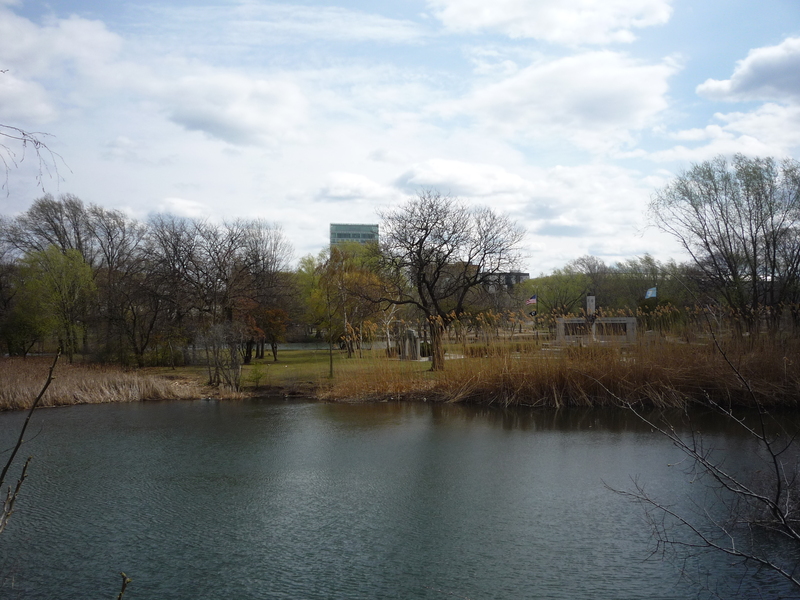 Take a big walk along the river, it’s great to see the view of the city from the Cambridge Parkway. 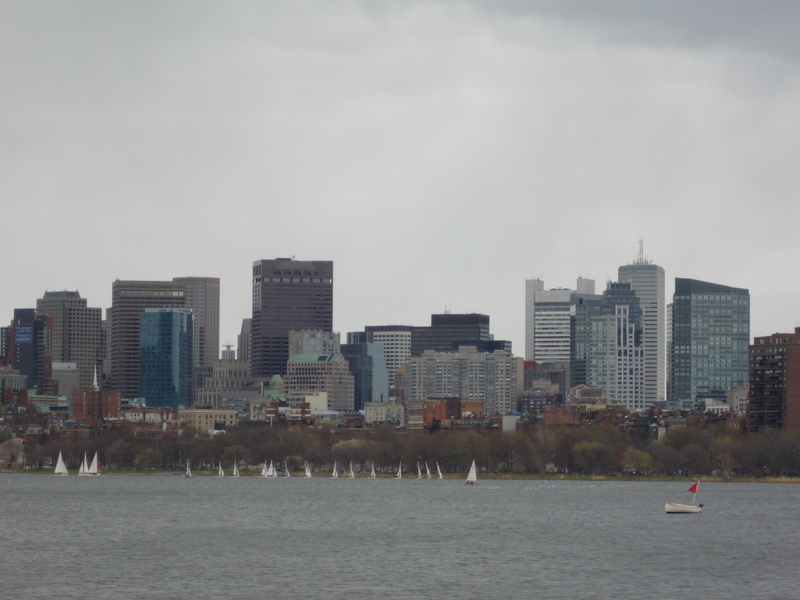 You will enjoy the view of the Charles river, of the Boston downtown and of all the boats along the river. Walk along the river for around 20mins and you will arrive at the bridge that hosts the Museum of Science. This fantastic museum shows all the aspects of science and technology and explores at the same time the flora and fauna of New England. The museum is open everyday and the admittance fee is 17USD. Once you cross the river, take the street on your right and you will arrive at Charles Circle. Take the Red Line subway from there to Park Street and from there take the Green Line till Fine Arts stop. 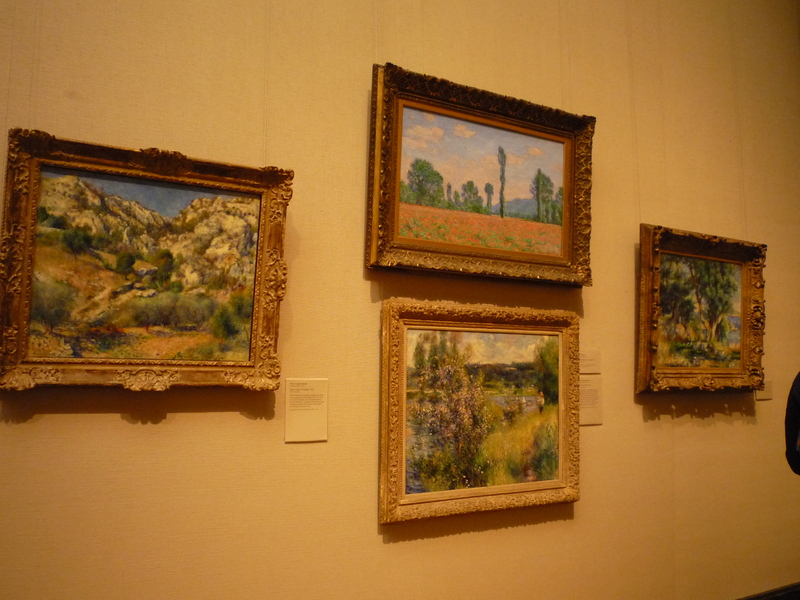 You will arrive at the Fine Arts Museum. This museum is a simple wonder of the city, a huge building with many famous masterpieces belonging to all ages and all continents. 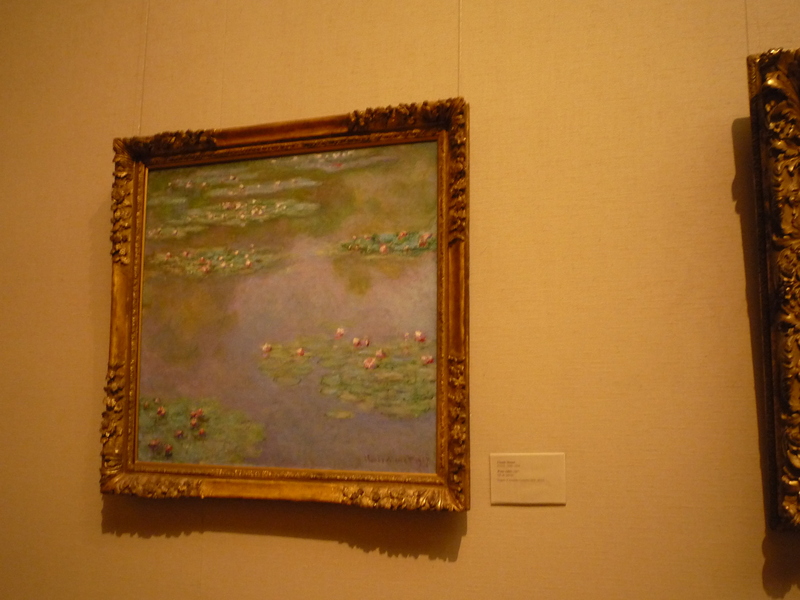 The museum is open everyday and the admittance fee is 22USD. The Museum is formed by different sections: Art in Americas, Art in Europe, Art in Asia, Art in Africa, Ancient Art and Contemporary Art. 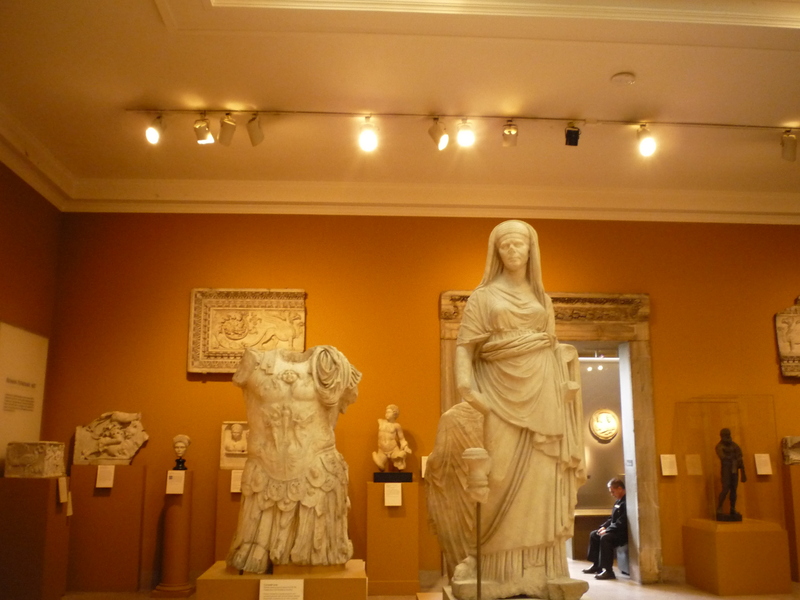 Masterpieces of Copley, Van Gogh, Monet, Rodin, Rembrandt, Pollock, masterpieces from the Egyptian, Greek and Roman world, fantastic statues from India and Africa…all the museum breathes art and creativity. 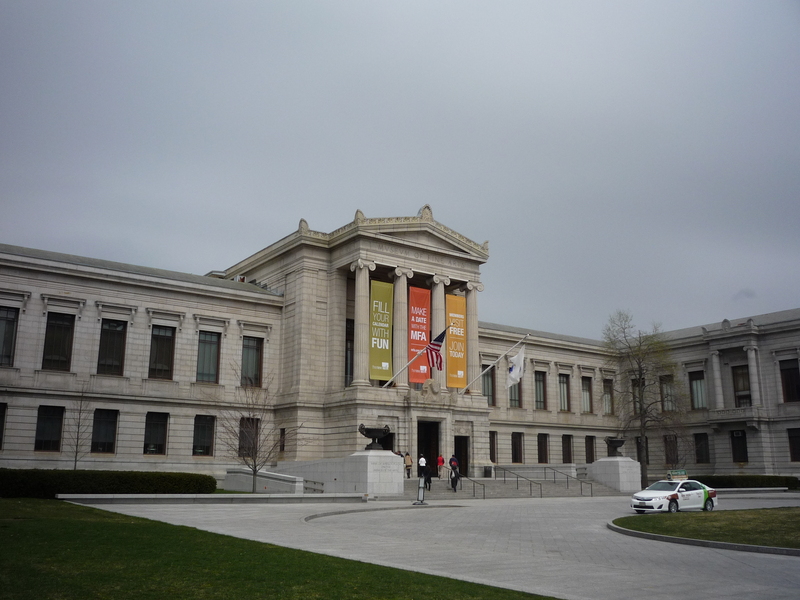 After the amazing visit at the Museum of Fine Arts, walk through the park behind the building and after 15mins you will arrive at the famous Fenway Park. For the baseball lovers, this is a sort of temple, since it is the place where the Red Soxs play. And even if you are not a baseball fan, I’m sure everybody has heard about the Red Soxs in hundreds of American movies!